Extra Yarn, winner of a Caldecott Honor and the Boston Globe-Horn Book Award, as well as a New York Times bestseller, is the story of how a young girl and her box of magical yarn transform a community. This much-loved picture book is written by Mac Barnett and illustrated by Jon Klassen, who also won the Caldecott Medal for This Is Not My Hat. 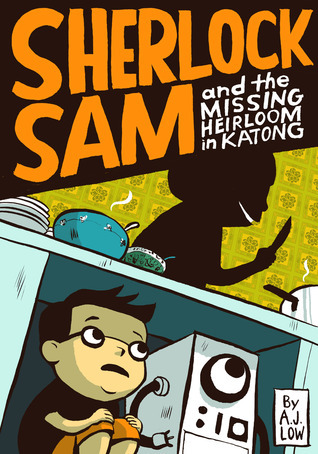 Meet Sherlock Sam, Singapore's greatest kid detective. With his trusty robot Watson, Shelock Sam will stop at nothing to solve the case, no matter how big or small! It's been decades since anyone set foot on the moon. Now three ordinary teenagers, the winners of NASA's unprecedented, worldwide lottery, are about to become the first young people in space--and change their lives forever. Mia, from Norway, hopes this will be her punk band's ticket to fame and fortune. Midori believes it's her way out of her restrained life in Japan. Antoine, from France, just wants to get as far away from his ex-girlfriend as possible. It's the opportunity of a lifetime, but little do the teenagers know that something sinister is waiting for them on the desolate surface of the moon. And in the black vacuum of space... no one is coming to save them. In this chilling adventure set in the most brutal landscape known to man, highly acclaimed Norwegian novelist Johan Harstad creates a vivid and frightening world of possibilities we can only hope never come true.